John and Aileen Crowley are the real life inspiration behind the recently-released major motion picture Extraordinary Measures, starring Harrison Ford, Brendan Fraser and Keri Russell. The movie, based on the book The Cure by Pulitzer Prize winning author Geeta Anand, chronicles the remarkable true story of one father’s race against time to quickly build a Biotech business that would manufacture the one product needed to treat two of his children. Megan & Patrick Crowley were both diagnosed with a rare genetic disease, often a terminal form of muscular dystrophy called Pompe Disease.The moving story, I’m pleased to say – one of great love and single-minded perseverance – does have a happy ending. John Crowley won his race – and his two children, Megan and Patrick, are not only surviving, but thriving. Recently, my company, NEW MEDIA PARTNERS, was contracted by the Crowley’s to create a web presence for the family, and their continuing story. In addition to the first book and film, John recently released a new book of his own, Chasing Miracles (Newmarket Press, 2010), that further describes and details his family’s incredible journey, and their willingness to do “whatever it took” against phenomenal odds to save Megan and Patrick – and, at the same time, keep their marriage, and their entire family, including oldest son John, Jr., intact and strong. Now, while I certainly wouldn’t place the difficulty of our little challenge in the same universe as The Crowley’s, from a marketing perspective it was a challenge nevertheless. Specifically, we were tasked with attracting and capturing visitors to the Crowley site, controlling the internet image of the family as much as possible, and interacting with people on important related issues. In my role on this project, I was put on the same team with CBS Films and their publicity machine, actors, publicists, and two book publishers. At the outset, I was under the assumption that when a project involves personality, rather than product, and is, in short, overloaded with Hollywood influence and impact, that a “different” style of marketing – one that my company was not familiar with – would be required. It made sense, of course – this was a completely new realm for us. One of the perks of the project was walking the red carpet with the stars at the movie premiere. 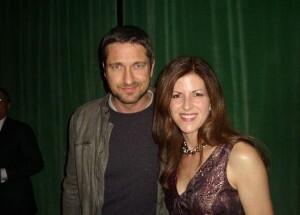 Above, Gerard Butler with my wife Dawn. You see, while my firm was extremely experienced on the web, in this case we were working to drive interest to the Crowley’s – their accomplishments, their beliefs, their strengths, their gifts – not a “standard” site where purchasers review products they need or want, fill carts and give credit card numbers. So, very anxious to “do it right,” we quickly set out to discover the “correct” marketing methods for such a sophisticated, influential, high-profile “Hollywood-related” project. 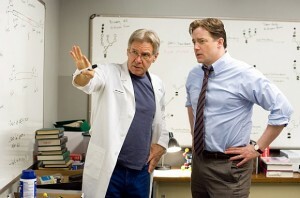 Let’s face it, Harrison Ford was in the movie, wasn’t he, and it doesn’t get more “Hollywood-related” than that! We are thrilled we tapped e-Xplorations to assist with our SEO efforts, linking partners and thier guidance on other aspects has been tremendous. Well, for those of you marketing professionals who have seen The Wizard of Oz (and I’m sure you all have), sometimes what you’re searching for is right in your “own back yard.” The lesson I learned was that sometimes a skill set – even one that has never graced the inside of a Hollywood sound stage – works just fine. Space limitation here keeps me from going into great detail, so please take away this one general point – whether your end deliverable is a personality or a product, you must always define and then drive with the basics we learned when we were marketing infants – define what the customers want and need, develop a method to answer that need, and then implement a method to keep that need satisfied over the long term. With the Crowley’s, and what they accomplished, it was all right there for us – the whole time. Okay, it’s hardly that simple. 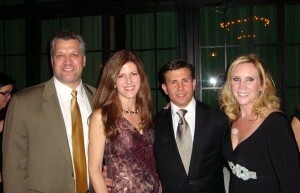 – Gary M. LaSasso, President, New Media Partners, Inc. Founded in February 1999, New Media Partners specializes in consulting and providing multimedia solutions to help companies improve their business performance by utilizing a full suite of presentation design, online and computer-based learning, interactive multimedia and custom web applications. Check out some samples of recent projects. Contact me for more information about how we can partner with your business to improve your bottom line.